It’s that time of year when farmers have harvested their crops, gardens have finished producing their bounty and the home-canning season has come to a close. The cornucopia pictured here is also known as the horn of plenty. It displays the abundance of harvest. 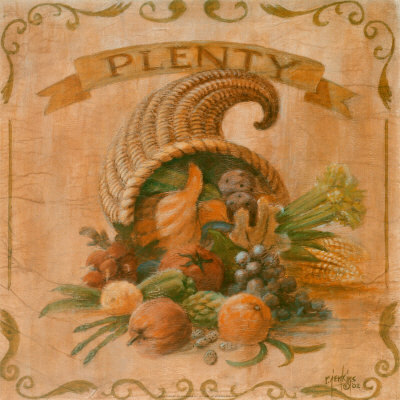 It is filled with fruit, vegetables, nuts and grains and one can’t help but be thankful for all God provides. “All the world is God’s own field, fruit unto to His praise to yield; wheat and tares together sown, Unto joy or sorrow grown. I’m looking forward to a Horn of Plenty Harvest and that I will be able to thank God for taking me home. How about you? Are you looking forward to an abundant Harvest?